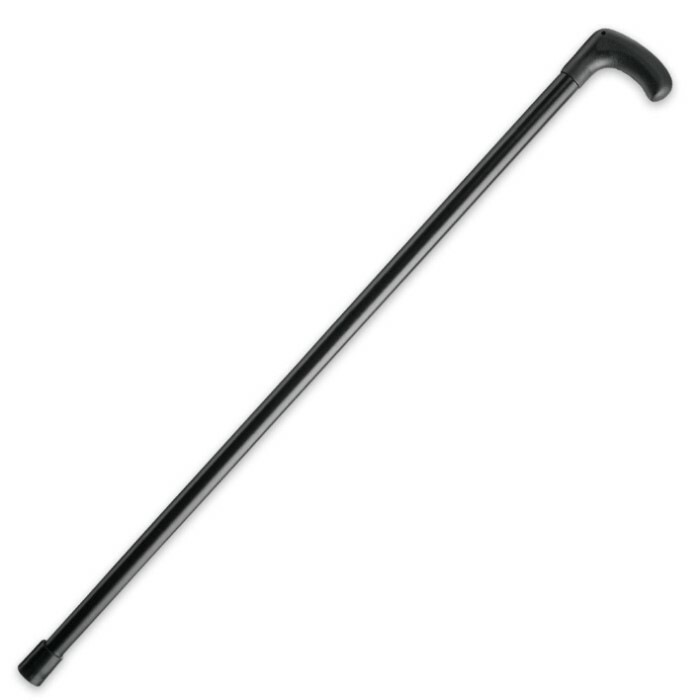 This very appealing cane features an extra strong partial crook handle made from Grivory, with a black, aluminum shaft that's 2mm thick and heat-treated for strength. 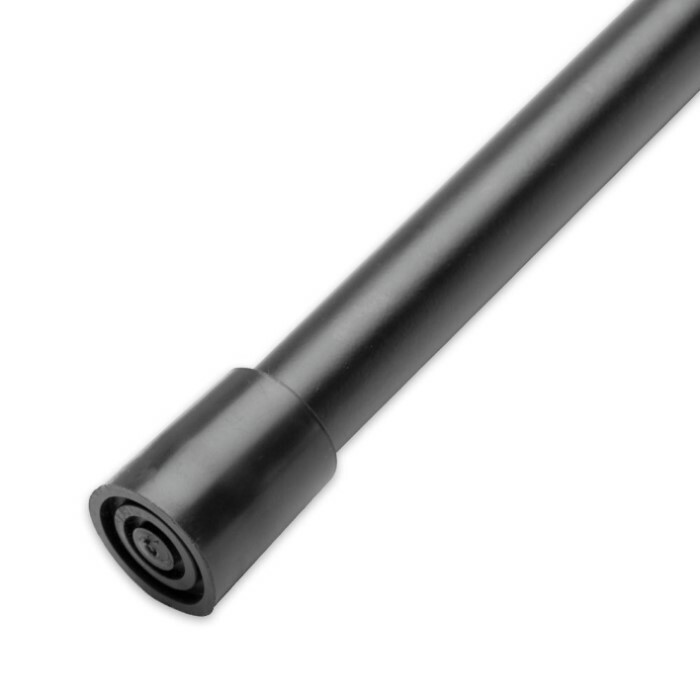 The shaft is handsomely tapered and capped with a thick rubber ferrule for better traction on slick, icy sidewalks or uneven terrain. 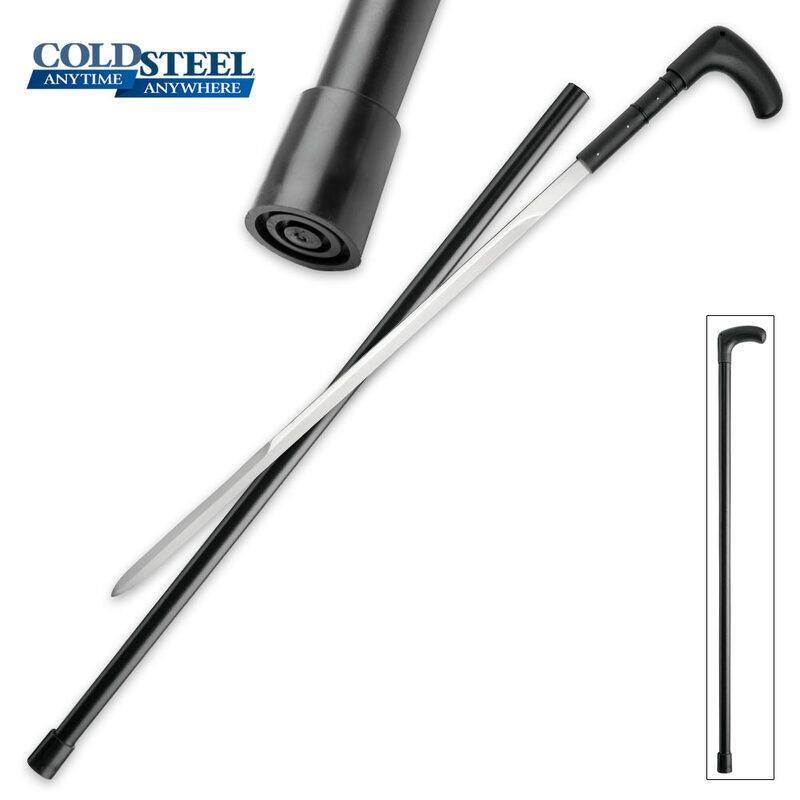 The concealed sword is made from stainless steel and is sturdy enough for cutting and thrusting. 24 1/4" blade, 37 1/2" overall.